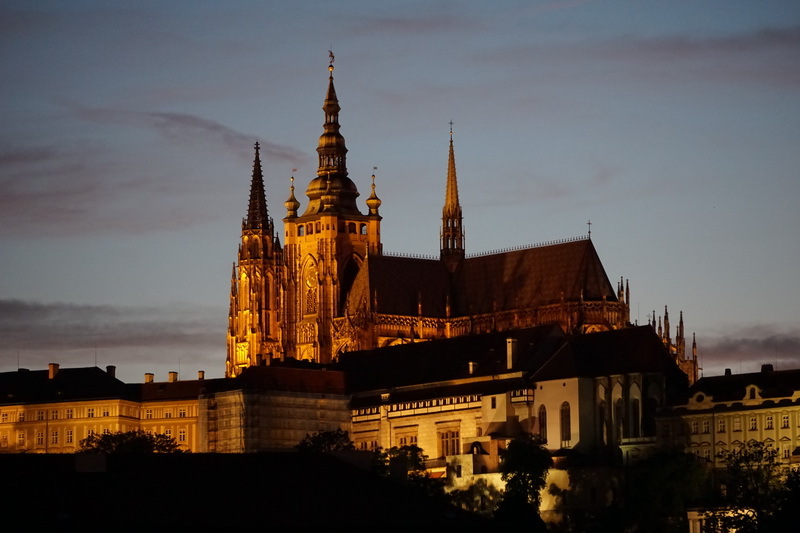 Night shots of Prague – our impressions of the city in pictures. We are not the kind of travellers who stay up so late that they barely make it to the breakfast table in the morning and actually need to recover from their holiday afterwards. But night-shots of cities, well-known buildings or nature are just too nice not to stay up past our bedtime. 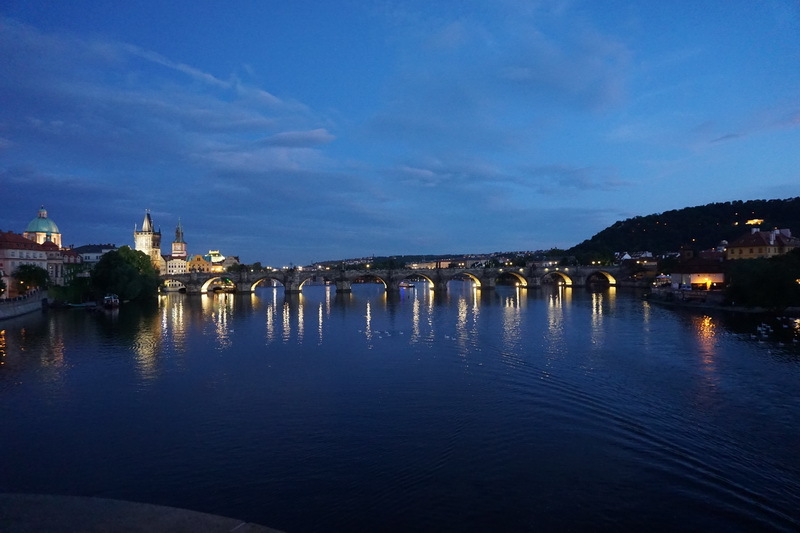 In Prague, we took advantage of the very nice weather and made our way to the Charles Bridge, equipped with a tripod and camera. We had already snooped out the best spots for the perfect picture before. But that was almost not necessary. We only had to go to where the other photographers were. 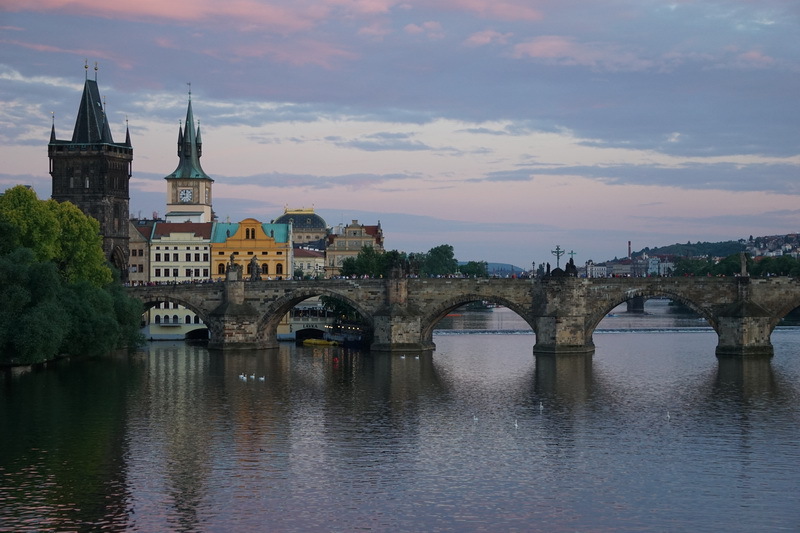 We then enjoyed the slow sunset and shot some pictures of the Charles Bridge. 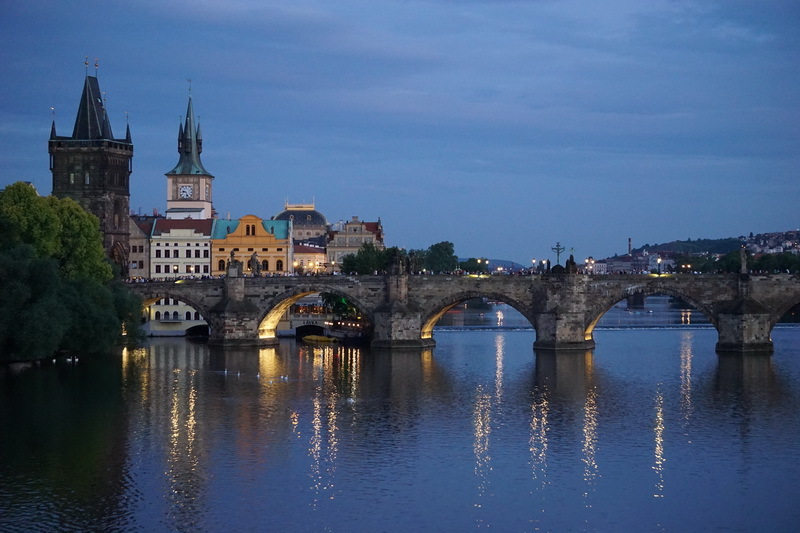 The scenery became particularly beautiful as the arches of the bridge were illuminated. 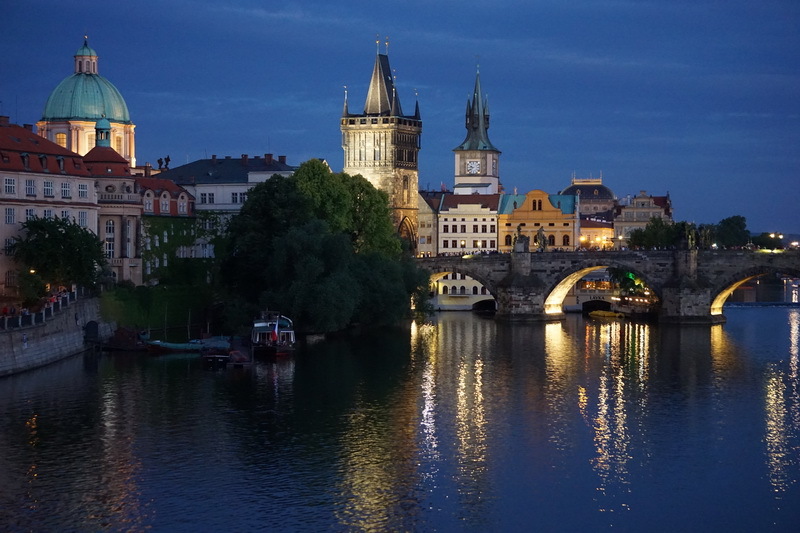 After a change of location, we took pictures of the St. Vitus Cathedral and got some shots of the Charles Bridge from a distance.